With over 3,700 km of Baltic coastline and a number of large lakes, Estonia has plenty of beaches to explore this summer. Experience the sun, sand and pure northern waters at one of our favourite spots, along with conveniences like toilets and on-duty lifeguards. Serene beaches are located everywhere from within Tallinn city limits to tiny villages. 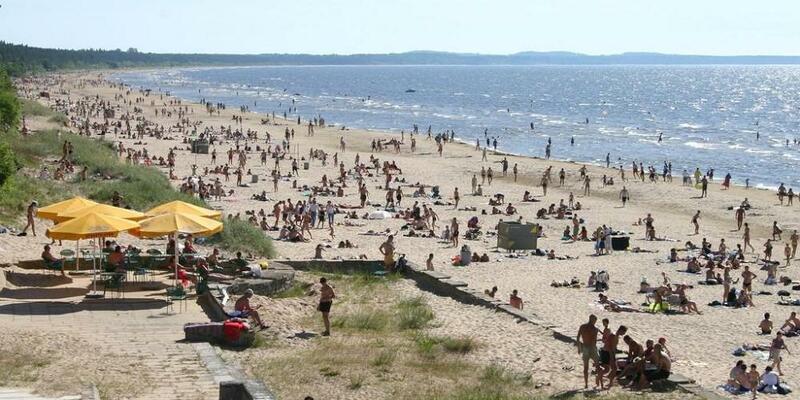 Kuressaare beach is one of the warmest sandy beaches in Estonia. Thanks to its low water level and the fact that the bay warms quickly, it is perfect for families with small children. The beach has its own toilets and changing cabins. There is also a children's playground where the little ones can have fun climbing, swinging and in the sand, all of which parents can keep an eye on in comfort. The official beach season is from 1 June–31 August. Lifeguards are on duty from 11:00 to 20:00 every day. Keep an eye on the flags: green means it is safe to swim and that the water is warmer than 18ºC; yellow means swimming is not recommended for small children and the elderly; and red means swimming is not recommended for anyone, as the water is cooler than 16ºC. Mändjala beach is the southernmost beach in Estonia. If the sun becomes too intense or you get thirsty, a beach bar, beach chairs and hammocks hung between pine trees are waiting for you. After extensive cleaning work and developments, Mändjala became the official swimming beach of Saaremaa in 2014. One of the best-known sights in the town of Elva is its lovely Lake Verevi. The warm waters of the lake attract both local and non-local holiday-makers. The beach gains additional value from a diving tower, beach volleyball courts and a separate children’s swimming area. During summer, you can rent a boat and have a meal at the Roheline Konn stall. During summers, beach patrol guarantees your safety. In winter, you can sledge down the slopes by the lake; when there is a decent amount of ice, a proper skating track and rink are open. The beautiful beach of Lake Pühajärv in Otepää with its clean sand, pier, beach volleyball courts, playgrounds and harbour welcomes you every summer. You will find exercise tracks and information boards in Pühajärve Park. 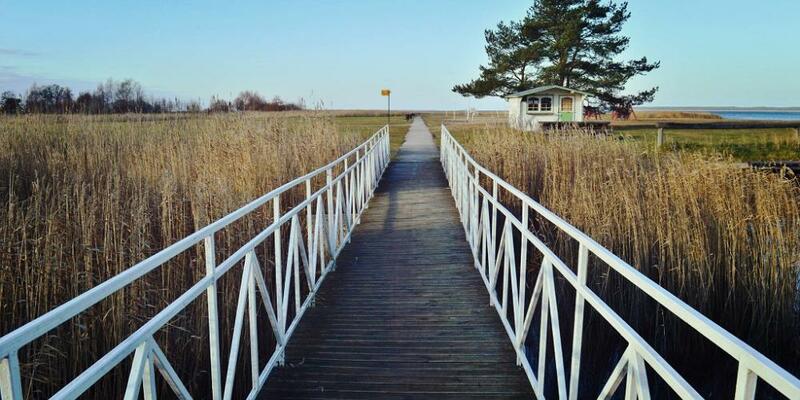 A special pier and changing cabin have been built for wheelchair users. Two catering companies, boat hire and lifeguards from AS G4S operate on Pühajärve Beach in summer (ever day from 11 am to 9 pm from 5 June to 31 August 2010). The beach is located by Lake Pühajärv, which is the biggest lake in the Otepää Highlands and the nature park. 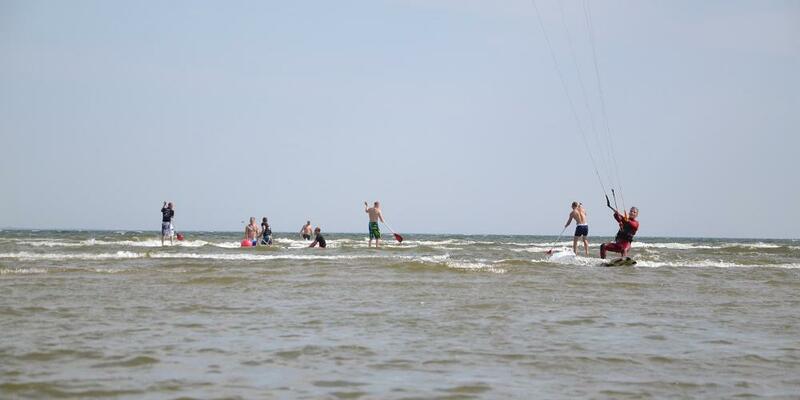 Paralepa beach has always been a sandy beach with one of the warmest water temperatures in Estonia. In the vicinity of the beach it is possible to use a shower and toilet (for a fee) in Paralepa Camping or hotel Thalasso Spa Fra Mare. In the beach, there are mobile toilets, cabanas, a children's playground, a volleyball court. 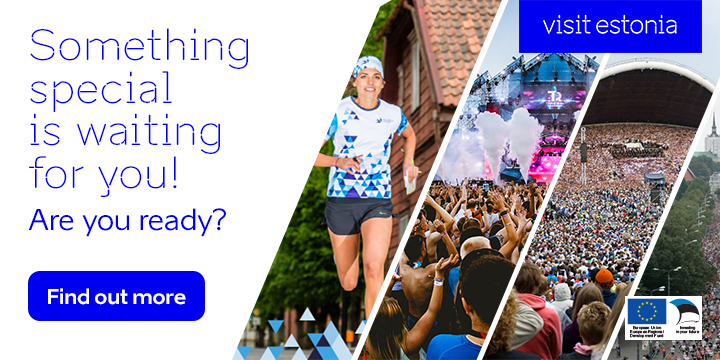 Good to know: The official season is from 1 June to 31 August. During the season, the life guards are present every day from 10 a.m. to 10 p.m. Pay attention to the colours of the flag: Green – swimming is safe and water is warmer than 18ºC; yellow – dangerous for children and the elderly; red – dangerous to all, water is below 16ºC. 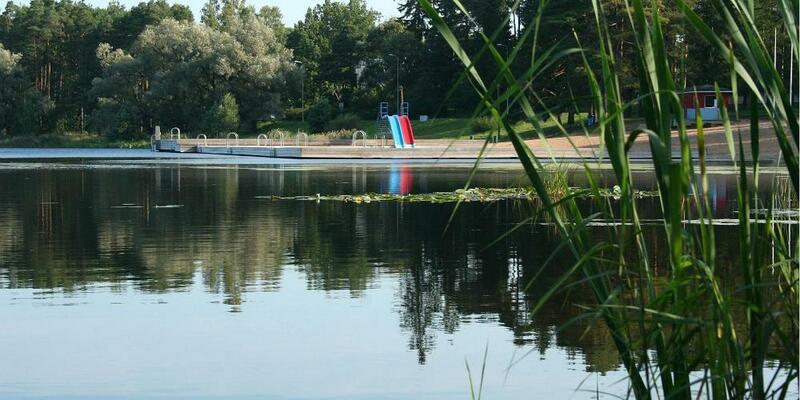 The Lake Tamula Beach is located in the city of Võru on the shore of Lake Tamula. The beach is groomed and equipped with changing cabins and various attractions. 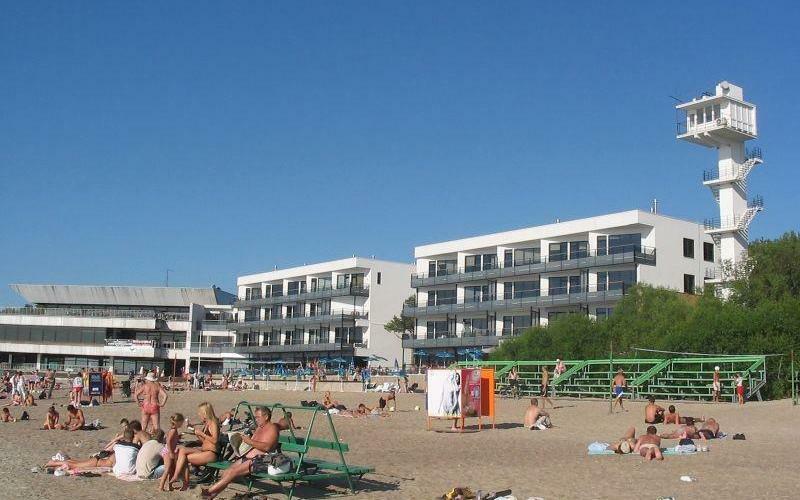 You can play football and volleyball, take a walk along the promenade, sunbathe on the grass or sandy beach, build a sand castle or climb on the ropes with the kids. A summer café is opened on the beach and lifeguards are on duty. Guests of the Tamula Hotel can step onto the beach sand or dive into the lake right from their rooms. Narva-Jõesuu beach, covered with fine sand and lined with a pine forest, is well-known for its unique natural environment and is the longest one in Estonia; running 7.5 km on the south shore of the Gulf of Finland. Visitors to the beach will be able to enjoy the comfort of a coastguard presence, a beach volleyball court, a playground for children, cabins and showers. Did you know...? 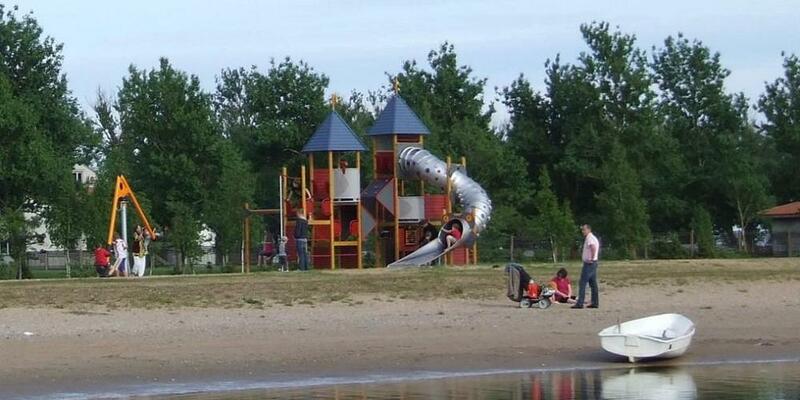 : The quickest way to the beach is to take the road in front of the Narva-Jõesuu Spa. Narva-Jõesuu also requires paid parking! You can buy parking passes from parking inspectors, shops, bars and hotels in the area. 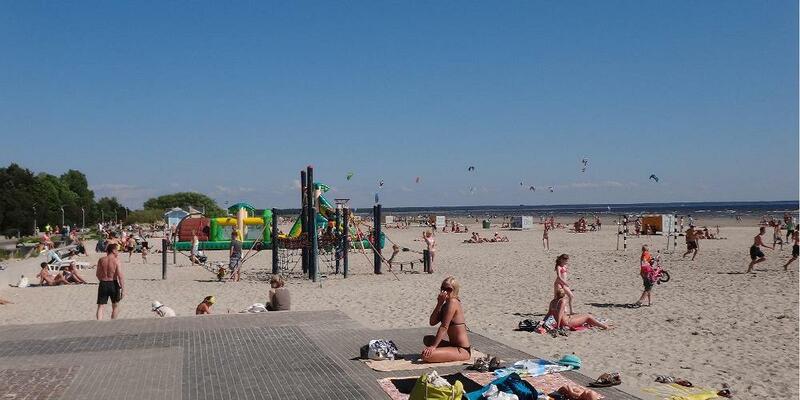 The famous sandy Pärnu beach, which feels like a town within a town in summer, is just a 15-minute walk from the centre. Tens of thousands of sun-worshippers and swimmers visit the beach every day in summer. The beach is particularly well suited to families with children, as the water is shallow and warms up quickly in the sun, while the adjacent park offers protection from cool northern winds. The beach has fun attractions for kids, as well as swings, surfing equipment rental, mini golf and lots of ice cream and other refreshments. 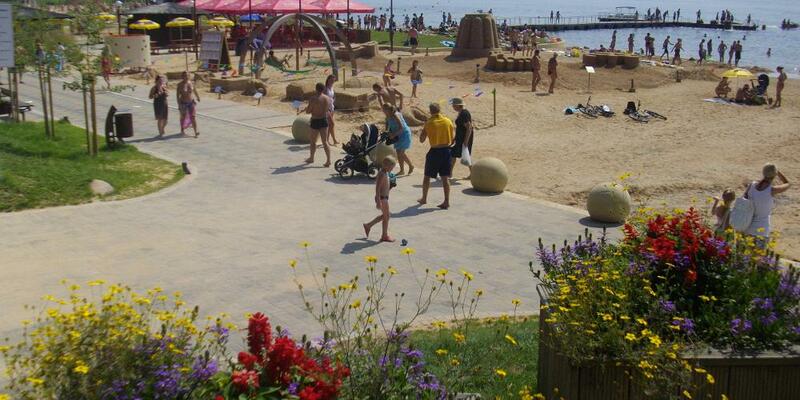 Romantics will love the beach promenade whatever the time of year.